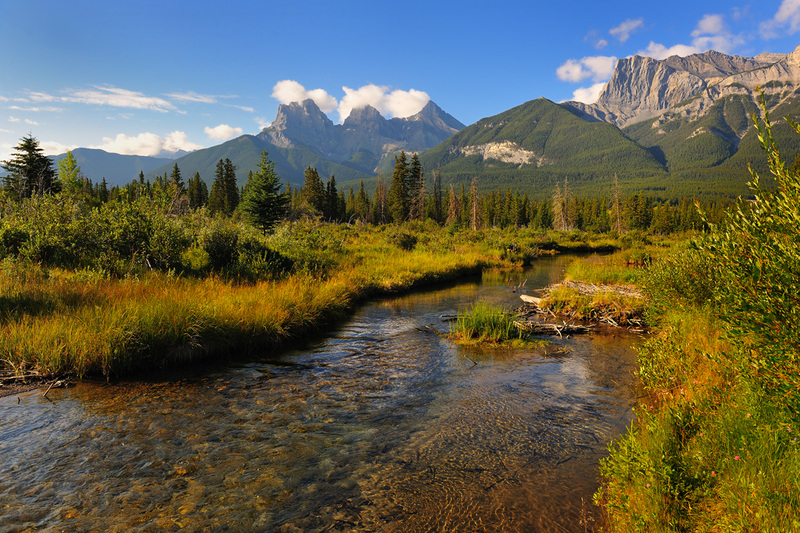 Of the many things that make Spring Creek such a distinctive neighbourhood, the two creeks that form its defining edge – Policeman’s Creek and Spring Creek – are high on the list. 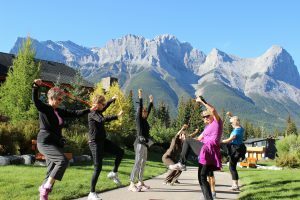 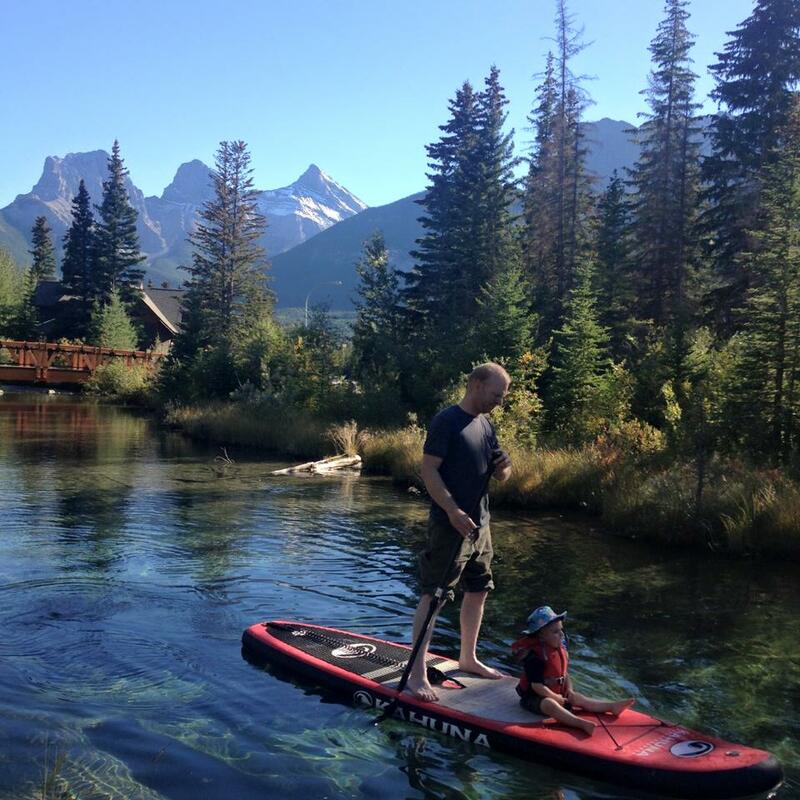 To ensure that Spring Creek maintains strong and healthy connections to the broader community of Canmore, the neighbourhood includes 2.5 km of perimeter trails and several bridges that span the creeks and forge vital links with the town. 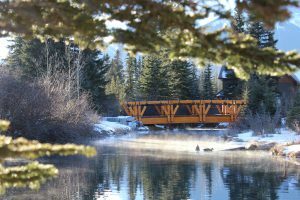 Picturesque and convenient, you’ll find three pedestrian bridges throughout the neighbourhood, all built without any in-stream abutments, footings or armouring – a careful measure to minimize vegetation disturbance and ensure the bridges don’t encroach on the natural rhythms of the creek. Within these picturesque trails and boardwalks you will find gathering places, picnic areas, children’s playgrounds, and plenty of benches to dream along the bubbling creeks. 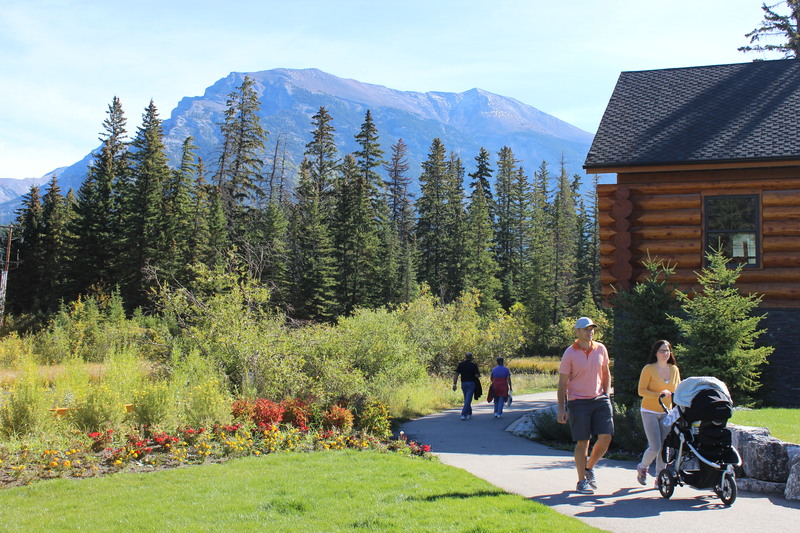 The walking bridge at the Opera House will take you along Policeman’s Creek boardwalk, offering plenty of view spots to watch wildlife or admire the mountain views Canmore is famous for. Follow the tree-lined boardwalk to downtown Canmore’s restaurants, boutique shops, art galleries and Elevation Place, Canmore’s $36M recreation complex, complete with indoor swimming pools, a lazy river, water slide, excercise and yoga gyms and the towering climbing wall – a powerhouse for active climbers young and old.